Golf isn’t as expensive as it is commonly believed but it isn’t exactly among the cheapest sports either. And the same counts for golf equipment. 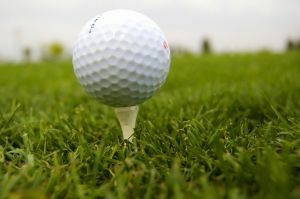 It may be true that many pieces of equipment are bought once or twice in a lifetime but when you are buying the first set of golf clubs and other necessities including golf clubs and golf shoes, can be a huge investment. This is especially true if you are after quality stuff. And you should be because it isn’t only less expensive in the long run but because it also has a major influence on your play. There are several ways to make buying golf equipment a less expensive undertaking without giving up the quality. One way is to focus on the very most important pieces and postpone the purchase of those that can wait to the future. It is better start with a fewer pieces anyway if you are a beginner. But there is another way to get more for less. How? By buying golf equipment on sale. Golf equipment has come a long way in the last few decades and just about all leading brands invest a great deal of money in innovation and technology. As a result, they introduce new technologies and materials on a virtually yearly basis. This, however, poses a problem with the unsold pieces of equipment because no golfer will buy old models if they can have brand new ones for the same price. And since it is better to sell the remaining equipment at a minimal or no profit than not selling it at all, just about all last season’s models are offered at generous discounts. But what if you do want to wait for the annual sales? Thanks to the Internet, you don’t have to wait for annual golf equipment sales at your local stores because there are always some special deals due to the intense competition. So if you are looking for a quality club, golf shoes or any other piece of equipment in the middle of the season or winter time, you won’t have any difficulties finding on sale online. And since the original prices are typically lower at online than offline stores, you can get the same club by the same brand for much, much less than in your local golf shop even if the latter offers it at discount as well. So if you are not after the latest technology and wouldn’t mind saving some money on quality golf equipment, it is most certainly worth to consider buying it on sale from an online store.